You deserve to look and feel your best. Sometimes, improving your physical appearance involves cosmetic surgery. When making the decision to undergo any surgery, you should be as informed as possible and choose an experienced plastic surgeon. Fortunately, choosing a doctor who will help you achieve your appearance goals, keep you well informed, and has experience is easy; Dr. Makhlouf is one of the best choices. 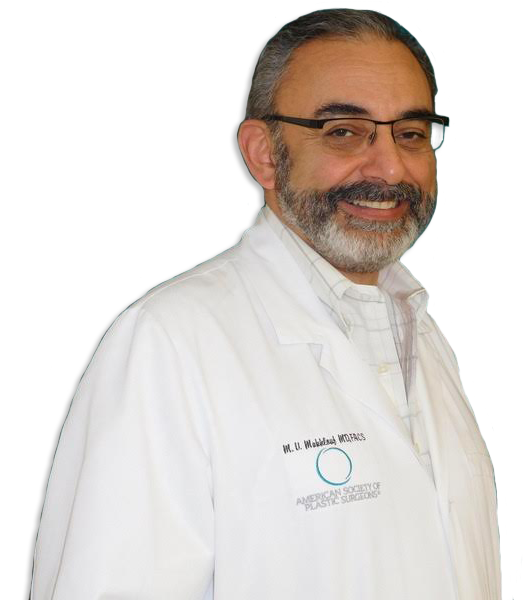 Dr. Makhlouf has been a Chicago plastic surgeon for more than 25 years. He performs all types of plastic surgeries: cosmetic, reconstructive and hand surgery. Dr. Makhlouf specializes in breast and body procedures as well as facial rejuvenation. Not only that, but Dr. Makhlouf is recognized and respected by his peers and was the President of the Illinois Society of Plastic Surgeons for 2015. Dr. Makhlouf focuses on delivering natural results. He firmly believes that a well-informed patient will be a satisfied patient. He takes as much time as necessary to answer patients' questions, educates patients on various cosmetic procedures, and ensures that patients have all the information they need to make a decision. The surgical care provided by Dr. Makhlouf has made him a national leader. He delivers the most up-to-date treatments available to optimize results that lead to a high level of patient satisfaction. He has performed thousands of surgeries in recent years and is also more recognized for the abdominoplasty in Chicago, breast lift, facial lifting and neck lift, buttock augmentation in Chicago and the eyelid surgery in Chicago . He is simply one of the best choices for a plastic surgeon in Chicago. Each procedure is customized to meet your cosmetic goals. Dr. Makhlouf carefully listens to your goals in order to recommend the best treatment plan for your surgery. His experience as a leader in cosmetic and plastic surgery in Des Plaines and Chicago includes reconstructive surgery, body contouring, as well as treatments for skin laxity and radio frequency treatments. He also specializes in non-surgical facial rejuvenation procedures, including injectable fillers such as Restylane, Radiesse and Belotero and neurotoxins such as Xeomin and Dysport. Through extensive training and education, Dr. Makhlouf will address your various needs. Patients benefit from a trained surgeon that dedicates himself to the best treatment of his patients and guarantees the best care from one of the best surgeon. It is through a customized, personal, and well thought out plan for your liposuction, breast lift, or rhinoplasty in Chicago that ensures your comfort and confidence in the procedure. To better serve you, Dr. Makhlouf keeps up with the latest advances in plastic surgery and uses that knowledge to recommend treatments that will improve appearance and confidence in yourself. He makes this recommendation by learning about your goals and expectations, and then informs you of the best options while taking into account your level of comfort. Additionally, Dr. Makhlouf spends hours educating his patients before surgery, providing individualized attention and meticulous care before, during and after each operation. The more informed and prepared you are for your cosmetic surgery, the more likely you are to have a positive experience. Fortunately, Dr. Makhlouf is one of the best and has completed successful surgeries for both men and women. The process of becoming a more confident person starts when you schedule an appointment with Dr. Makhlouf, and ends when you feel more confident and have had a complete recovery after your cosmetic or reconstructive procedure. Let Dr. Makhlouf improve your beauty and help youbuild your confidence. His wide variety of available cosmetic procedures, such as tummy tuck, liposuction in Chicago IL, or near Chicago, and many other procedures, use of innovative methods and the best techniques can deliver some of the best results. Every surgery performed by Dr. Makhlouf has been proven relatively safe and effective. Schedule your appointment today!